Learn about food, where it comes from, how to shop and how to prepare food. What does it mean to eat the colors of the rainbow? What is healthy eating? Students will learn how easy it is to prepare delicious smoothies, nut milks, nutritious snacks, quick lunch ideas and desserts! Will include a guided trip to the local farmer’s market! Note: All food prepared will be plant-based, dairy-free & gluten-free. 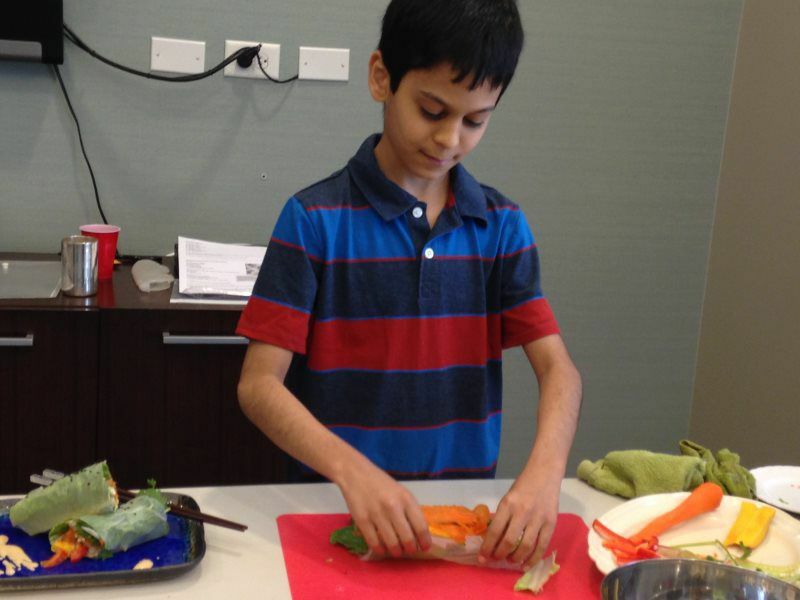 The summer camp will be taught by Chef & Nutrition Educator, Sunita Vira (Rishi’s Mom, GEMS World Academy, Grade 5). Founder of the Raw Food Center Chicago & Singapore, whose goal is to educate and work with families to incorporate healthy living into their lifestyle.